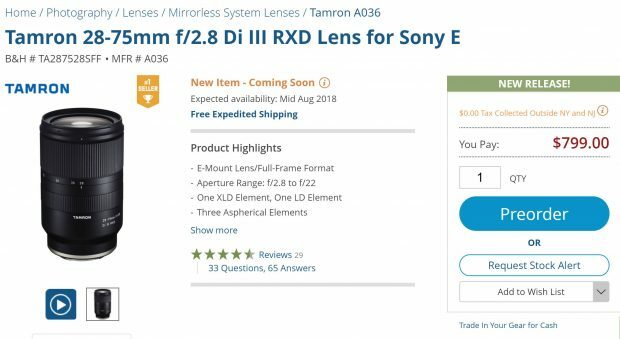 According to B&H Photo Video, the one of the best selling lens Tamron 28-75mm f/2.8 Di III RXD lens will be shipping in Mid August. You can order now before sold out again. You can also check in stock tracker for this lens at Adorama & Focus Camera & Amazon. Next Next post: What Can We Expected from Sony a7 IV ?